How it all began: Years ago, Watermark Golf’s Nathan Crace was asked by a friend in the golf business to help create a pin card for his golf course that was different from what other courses were using. They quickly discovered that using Nathan’s experience and expertise from 20+ years as a golf course architect, he could offer a truly unique service for golfers. The end result was a unique concept and became an instant hit with the course and the players! Nathan is a member of the American Society of Golf Course Architects and has been playing the game since he was a young boy, so instead of simply downloading a satellite image and re-creating it on a computer and selling it to the course, Nathan spends a day or more on-site, measuring and mapping the green complexes himself and creating numerous detailed field sketches. Nathan notes not only the distances required to carry bunkers and water hazards to fire at pins, but he also makes note of more subtle contours like shelves, swales, and humps in greens that would impact approach shots. No one else takes the time on-site to do such detailed work. Then, working closely with a graphic artist, we will create striking 3D computer-rendered artwork using Nathan’s drawings as the model! The End Result: Pintelligence–the only pin cards on Earth created by an award-winning golf course architect specifically for your golf course! Handsomely printed in two-sided full-color on 14pt gloss-coated cover stock with protective UV coating, most clubs find that their initial shipment of cards lasts from 18 to 36 months! Still wondering if Pintelligence cards are right for you? Let’s see if we can help with the FAQs below…. Both are the perfect complement to Pintelligence.com cards. 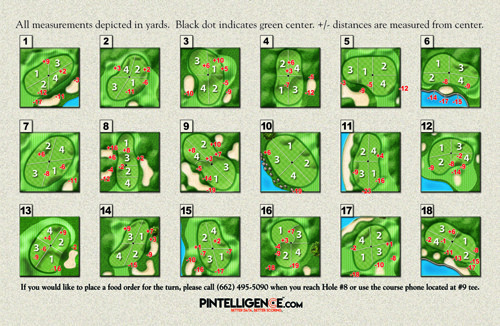 Only Pintelligence.com cards give you quick and simple +/- yardages to key features of the green to complement the yardage to the flagstick. 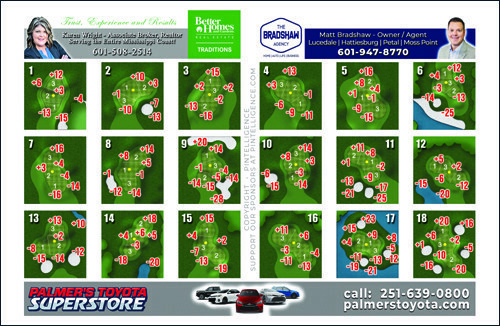 Know your distance to the middle of the green is 145 yards and that flag tucked in the back left corner is 161? With Pintelligence.com cards, you’ll also know that you need to carry the ball 157 to carry that bunker, leaving you only 4 yards between it and the flagstick! That’s great! But did you know that non-military GPS is still only required to be accurate to a minimum of 30 feet? That’s 10 yards…or one full club for most amateurs. That’s the difference between putting for birdie and scrambling for bogey–or worse. And factor in heavy clouds or other weather and your results could vary even more. With Pintelligence.com cards, simple math that you learned in 2nd grade will give you the exact yardage to every key feature on (and around) the green. In fact, the opposite has proven to be true! Golfers who know exact yardages (even if they cannot hit that exact yardage every time) have more confidence in the shot they are playing and play quicker as a result. 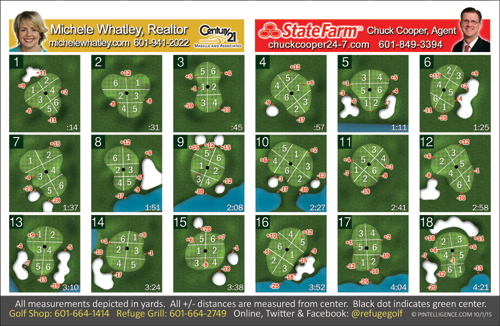 Additionally, better shot selection from using Pintelligence.com cards leads to more enjoyment from their round of golf–and more repeat play for you! Simply put, no other similar service is owned by (and utilizes the services of) an award-winning golf course architect. You get personalized attention second-to-none and the end result is quality and craftsmanship you simply cannot find anywhere else with a simple to use method for speeding up play and increasing enjoyment for every golfer–regardless of their handicap. And we have an exciting new offering two make Pintelligence available to more courses: Two programs to meet the needs of every golf course (and every golf course budget). Prestige Program: This is the classic program that began Pintelligence.com. Primarily for higher-end private clubs, resorts, exclusive properties and top public courses, the Prestige Program features Nathan’s exclusive design on the back (facing the golfer in a cart) and only the club/course logo on the front (facing the front of the cart). This gives the card its classic clean look with the club/course logo facing outward. 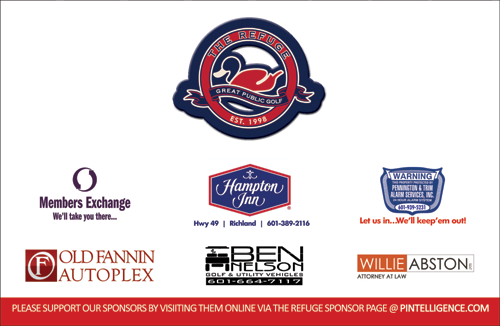 Community Program (sponsor-supported): This exciting new program is targeted toward public facilities, smaller clubs, and others who don’t mind a handful of sponsors on the front of their cards (facing the front of the cart). In return, the course/club will receive their Pintelligence.com cards for FREE. 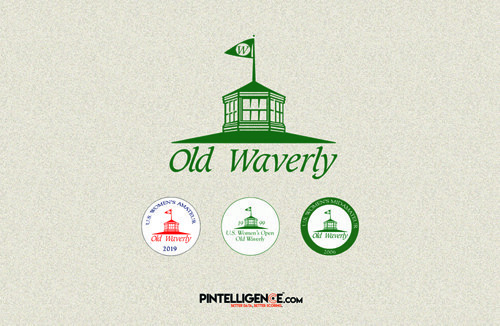 You leave the selling up to us too–Watermark Golf will secure the sponsors and all you have to do is relax and look forward to joining the Pintelligence.com family. You just give us a few weeks to put it together and we’ll ship them directly to you when they’re done. No worries. Once we secure 50% of the sponsors, we’ll schedule the site visit and get to work on your cards! How Do We Get Our Course Started with Pintelligence? It’s simple! 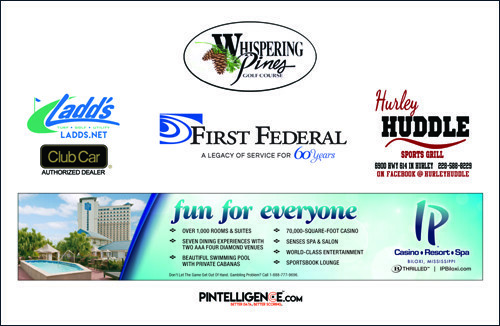 Contact us today via mail@pintelligence.com or by phone at 601-849-0461 for a price quote for the Prestige Program or more information on the Community Program. But don’t delay. Since Pintelligence is a unique service, site visits are based on limited availability and booked on a first come, first served basis. Pintelligence.com is a service of Watermark Golf/Nathan Crace Design and one of the Watermark Golf Companies.